Imagine walking into an encounter that will involve a child with behavioral issues, five clinicians from different specialties, and parents who may not want the behavioral assessment to take place. What is your role as the interpreter? Do you ignore behavior by the child? Do you coax him to participate in the assessment? Do you ask the mother what words she uses for biscuits and milk in their home, so that you can figure out what the child is saying? This workshop was specifically designed for interpreters to guide them in how to partner with each clinician to help the care team achieve its encounter goals. Video of live encounters is included. Class materials include an extensive supplemental handbook on childhood development topics, especially prepared for interpreters. Who is teaching? 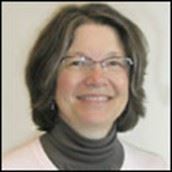 Dr. Kathleen Lehman, PhD is the Attending Psychologist for the Child Development Clinic (CDC), the Infant Development Follow-Up Clinic (IDFC), and the Cardiac Neurodevelopmental Clinic (CNC) at CHDD. As an interdisciplinary team member in these clinics, she supervises and conducts psychological evaluations of children and adolescents with suspected neurodevelopmental disabilities, complex congenital cardiac defects, and developmental risk factors related to being born prematurely. She provides verbal and written feedback to families regarding diagnosis and treatment recommendations. Dr. John Thorne, PhD, CCC-SLP is the Discipline Leader for Speech-Language Pathology at CHDD. He is a lecturer and researcher in the UW Department of Speech and Hearing Sciences. His role as supervisor of first and second year graduate students in the Department of Speech and Hearing Sciences involves overseeing speech-language evaluations and participating in interdisciplinary meetings and parent conferences in several pediatric clinics at CHDD. John is an active clinician and researcher with UW Fetal Alcohol Syndrome Diagnostic & Prevention Network . Kay Kopp, BS, OTR. Kay Kopp’s professional career spans nearly 3 decades in pediatric occupational therapy and includes clinical work and consultation in early intervention, school settings, and private practice. She has particular interest in serving children challenged by sensory processing differences. In her current position at CHDD, Kay has clinical responsibilities in the Child Development Clinic , Cardiac Neurodevelopmental Clinic, Down Syndrome Specialty Clinic, and Congenital Hypothyroid Follow-up Clinic. She supervises occupational therapy fellows and occupational therapy graduate students. 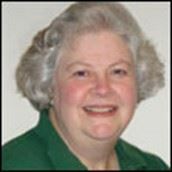 Kay heads the CHDD Clinical Services Committee and is a member of the Washington Elks Therapy Program Medical Advisory Board. Anne Leavitt, MD. Dr. Leavitt is a developmental pediatrician who sees patients in several clinical settings. At the Center on Human Development and Disability (CHDD) at the University of Washington, she is on interdisciplinary teams serving the Child Development Clinic and Congenital Hypothyroidism Follow-up Clinic. Dr. Leavitt is the co-director of the Cristine M. Trahms Program for Phenylketonuria (PKU). and has a special interest in Prader-Willi Syndrome. In the community, Dr. Leavitt provides clinical care at the Seattle Children's Autism Center and serves as medical director at Boyer Children's Clinic. She also writes and edits Child Health Notes. Sharon Feucht, MA, RD, CD. Sharon Feucht supervises nutrition fellows in the LEND curriculum and her clinical responsibilities include Child Development Clinic and High Risk Infant Follow-up Clinic. She is the Project Director of the Nutrition Services for Children with Special Health Care Needs contract from the state Title V agency, providing training for the CSHCN Nutrition Network and Community Feeding Teams. She is the editor of Nutrition Focus Newsletter for Children with Special Health Care Needs. She also supervises nutrition fellows at Holly Ridge Developmental Center. Tuesday, February 28th, 2017 5-7 P.M.
Check-in at 4:30 p.m. PLEASE ARRIVE AT 4:30 to sign in. Class from 5:00 – 7:00 p.m.
$30 Non-members (Click to Join NOTIS). Click “Register” and pay online. Via regular mail (registrations must be received by February 24th.) Fill out the form and select “invoice me” on payment page. A copy of invoice with mailing instructions will be sent to you. No onsite last minute registrations will be accepted for this event. We regret that no refunds can be given after February 23rd, 2017. A $10 processing fee will apply for refunds requested before February 24th. By bus or by Link Light Rail, get off at University of Washington Station. Go into the hospital, down to the first floor, and out through the back of the cafeteria. Cross Columbia Road to CHDD but bear left to the Haring Center. Directions for driving to University of Washington Medical Center are accessible at Google Maps. 1959 NE Pacific St. Seattle 98195. Navigate to the corner of 15th Ave NE and NE Pacific Street, and go south on 15th Ave NE. Cross Pacific St. NE. Follow 15th around southeast to the left as it becomes Columbia Road to the small parking guardhouse for the S-1 parking lot. After paying the $5 evening fee, park in the middle level of the S-1 parking lot if possible. Walk out of the lot on the opposite side toward the east toward the CHDD building. The Auditorium is in Haring Center, one building past CHDD. Volunteers will be ready to guide you to the Auditorium until 5 PM. Please do not be late. Park in Parking Lot S-1 after 4 PM and pay the fixed evening fee of $5. Walk east to the Haring Center. In order to offer this unique opportunity at an affordable price, no refreshments will be provided. We encourage you to bring your own water, coffee and snacks. Lot 1 is behind the UWMC Plaza Café, which has a full selection of food and beverages for take-out until 7 PM. CE credits? Two (2) continuing education credits are approved by CCHI, the Washington State AOC, ATA, and from the Washington State DSHS. ATA credits are accepted by IMIA/NBCMI. Certificates of Attendance will be awarded to all who arrive on time and stay for the entire workshop. Questions about class content? Please contact Linda Golley at linda_golley@yahoo.com.